Counterpoint’s latest quarterly global smartwatch tracker is out, and unsurprisingly, Apple continues to comfortably dominate the market. But although Apple Watch shipments are expected to further grow by the end of this year, as well as in 2019, the company’s market share has actually declined from 35 to 30 percent between Q3 2017 and Q3 2018. The biggest winner was by far Fitbit, which followed Apple in second place in both US and global smartwatch sales in the July - September 2018 timeframe. The veteran fitness tracker vendor is still a relative newcomer to the smartwatch stage, finding surprisingly great mainstream success with the Versa. The affordable, decent-looking, and sensor-packed wearable device crucially contributed to Fitbit’s year-on-year rise from 6 to 16 percent smartwatch market share around the world, although the company may need a little more product diversity to continue growing. Namely, Counterpoint Research analysts believe Fitbit’s portfolio is in dire need of LTE-enabled models to properly take on the most popular Apple Watch variants. Speaking of that, the Series 1 was reportedly the “single biggest selling SKU” again... before being discontinued, accounting for almost half of all Q3 2018 Apple Watch shipments. But the Series 3 also saw an encouraging uptick “later in the quarter” thanks to deals and discounts, while Series 4 demand is expected to be solid throughout the holiday season. The “enthusiastic response” to the Series 4 launch also helped Apple’s overall quarterly numbers to surge by 31 percent year-on-year, making the market share decrease feel almost completely insignificant. Meanwhile, the name of the world’s third-largest smartwatch vendor is unlikely to ring any bells in the Western Hemisphere, as Imoo focuses entirely on kid-friendly products for China. Samsung is ranked fourth, with a shrinking share, but rising shipments thanks to good Gear S3 and Galaxy Watch performance. Last but not least, we should also highlight total worldwide smartwatch shipments gained an impressive 53 percent this past quarter compared to the same period last year. 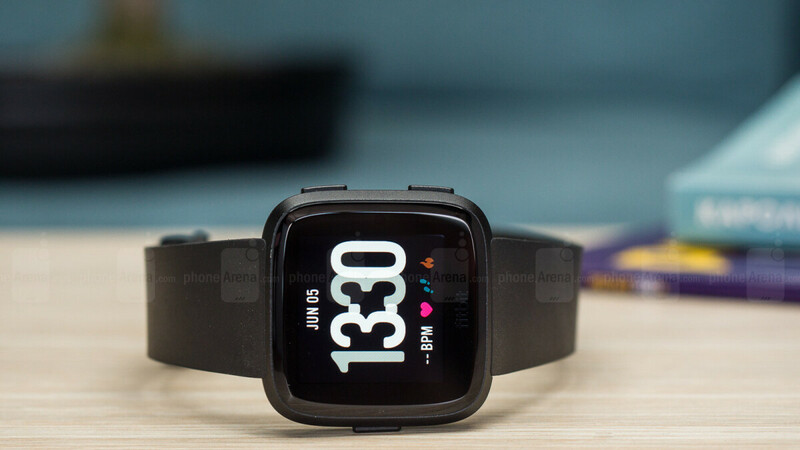 Source article from couterpoint's site titled "Fitbit Smartwatch Shipments Grew 348% YoY in Q3 2018" While this article here said nothing about that growth number.